Emilio Morales, a structural engineer, told AEC News Today that the use of QT, or “thermo-mechanically treated” (TMT) steel bars used as reinforcing in high-rise buildings was potentially threatening tens of thousands of lives due to premature catastrophic failure under cyclic loading generated by earthquakes. Worse, he said the elevated risk has been forced onto Filipinos by the country’s steel manufacturers who 12 years ago changed the steel bar manufacturing process without notifying the government or public. Since then vested interests in the Philippine steel industry have hindered the implementation of the same good policy that similar at risk countries have implemented. Attempts to toughen regulations have been met with calls from local manufacturers for more tests. At the same time the safety issue is deflected with statements claiming that QT/ TMT steel rebar has never been an issue with structural engineers because it complies with Philippine National Standard 49 (PNS 49). A review of PNS 49 started in August last year and was supposed to have been completed by the end of 2017. To date, however, the Bureau of Philippine Standards (BPS) Technical Committee on Reinforcing (TCR) is still discussing provisions on sampling procedures and the standard’s alignment with the Philippines’ National Structural Code 2015 (NSCP 2015). Whereas PNS 49 is the reference document used by buyers, sellers, developers and the general public on the correct type of steel rebar to use, NSCP 2015 is used almost exclusively by structural engineers and architects. 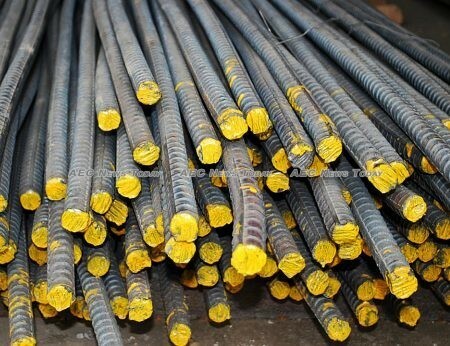 However, PNS 49, the standard for reinforcing steel bars, only calls for static tests, which do not represent the QT rebars actual behavior and performance under earthquake loading. “Just as there is qualified use allowed of QT/TMT bars in the NSCP 2015, the same should be done with NSP 49”, Mr Morales said. The delays have frustrated Mr Morales, who until recently was chair of the National Structural Code Committee of the Association of Structural Engineers of the Philippines (ASEP) and who has raised the risk to public safety on multiple occasions with the Department of Trade and Industry (DTI) and related agencies. In April ASEP called on the Department of Trade and Industry (DTI) to order the permanent embossing of a “Q” mark on QT/ TMT steel rebar so customers know the kind of steel bars that they are purchasing. While current regulations dictate that manufacturers emboss identifying marks, bar size and grade on each steel bar, colour codes can be painted on the ends instead. Mr Morales said the use of painted marks to identify steel rebar types is a source of fraud as the paint can be erased or painted with another colour by unscrupulous dealers and resellers”. Sharing Mr Morales’ views and also lobbying for more stringent construction standards is former senator Nikki Coseteng, chairperson of the Philippine Induction Smelting Industry Association (Pisia). “Imported steel bars have proper markings. Why is the grade of steel not embossed in Pag-asa Steel and SteelAsia Manufacturing Corp’s’. (SMCs), (two Philippine steel manufacturers) steel bars as mandated by law?”, she told The Manila Times in April. Cheaper to produce due to the absence of vanadium, a hard grey metal, and niobium, a silver grey metal, used to make Micro alloyed (MA) steels rebar, QT steel bars, Mr Morales said, “have a narrower tolerance for welding and heat bending commonly used in building construction, which comprise critical faults in earthquake situations. Noting that there was nothing wrong with QT/TMT steel rebar for low rise, non critical structures such as housing of no more than two-storey’s high, Mr Morales said “it should be banned from use in medium to high rise buildings and critical structures such as bridges, elevated skyways and Light Rail Transit, as well as places of public emergency shelters”. It is not only earthquakes where Mr Morales fears the integrity of QT/ TMT steel bars could be affected resulting in catastrophic building failure. Prolonged fire, such as last year’s Grenfell Tower blaze in England, exposes reinforced concrete buildings to elevated temperatures during a fire, often in excess of 500C (about 932F); about the same temperature that QT/TMT steel is tempered at to give it strength. The result, Mr Morales says, is a retempering of the outer skin of the steel to the much reduced strength of the core steel. While admitting that MA steel rebar is a pricier option, Mr Morales said studies in Italy, New Zealand and Australia all warn of the risks associated with using QT/TMT steel bars in Seismic Zone 4, which encompasses the majority of the Philippine Islands. New Zealand’s concrete standards specifically excludes welding, hot bending, or threading of QT/TMT bars saying it ‘adversely affects the mechanical properties’ of the bars microstructure. Additionally, in areas of seismic activity, the regulations say that ‘the heat required for welding, galvanizing or hot bending could create a brittle failure point and therefore considered inappropriate’. In Taiwan, which also falls into Seismic Zone 4, QT/ TMT bars are not permitted to be manufactured, while QT/ TMT steel rebar is not permitted for use in Japan, another Seismic Zone 4 country. Attempting to deflect the issue of suitability, SMCs vice president Rafael Hidalgo told The Manila Times that the issue wasn’t the suitability and special requirements of QT/ TMT steel bars, but rather the availability of steel rebar that doesn’t comply with PNS 49. Accusing Philippine steel manufacturers of putting lives at risk in the pursuit of profits, Ms Coseteng says Philippine steel manufacturers changed the composition of steel bars around a decade ago by stealth. Why did they intentionally keep silent?, she recently asked The Manila Times. 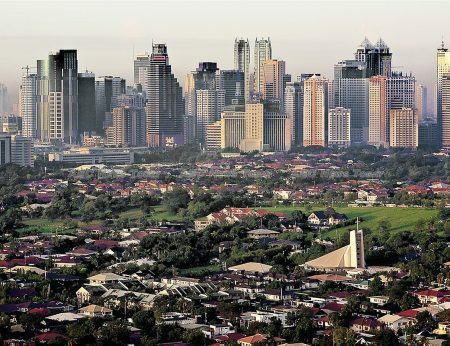 Metro Manila lies along what is known as the West Valley Fault (WVF), one of two major fault lines in the Valley Fault System (VFS). Stretching some 129 kilometres (about 80 miles), the WVF runs from Doña Remedios Trinidad to Calamba, taking in parts of Quezon City, Marikina, Pasig, Makati, Pateros, Taguig, and Muntinlupa. The Philippine Institute of Volcanology and Seismology (Phivolcs) has warned previously that the West Valley Fault is capable of producing earthquakes with a magnitude of seven or higher. In 1968 when a 7.3-magnitude earthquake struck Manila 268 people were said to have been buried alive when Ruby Tower, a 6-story commercial and residential building collapsed — the floors dropping one on top of the other like pancakes. Attempting to defuse the situation DTI Secretary Ramon Lopez, has met with stakeholders and said that the review of PSN 49 will be “fast-tracked”, while adding that the ASEP’s call for more stringent marking requirements “will be considered”. However, with the heavily industry dominated BPS-TCR still attempting to formulate a testing regime no quick end appears in site. Further muddying the waters, the new codes committee of the ASEP recently said that QT steel rebar “could be used for all structures including High Rises”, while at the same time stating that it should be consistent with the Prohibitions in the NSCP adopted from NZ 3101; NZ 3101 prohibits the use of QT steel rebar in areas of seismic activity. Over most of the period that Philippine steel manufacturers have been supplying the industry with a grade of steel rebar not unsuitable for seismic areas the Philippine construction industry has been booming. 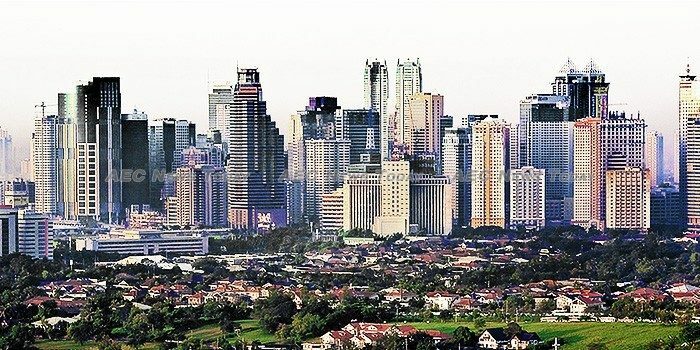 According to the Philippine Statistics Authority (PSA) the construction industry grew by 9.3 per cent in the first quarter of 2018, slightly down on the 9.3 per cent growth it experienced in the same period in 2017. In April Research and Market released a report which forecast an 18.3 percent CAGR for the Philippine construction industry over the period 2013-2022, when it is estimated to be worth some US$ 54.5 billion. One Response to "QT steel could see Manila high-rises collapse in big quake warns engineer"
I have been following with great amusement the anti-QT (QST) rebars campaign of Emilio Morales in the Philippines print media as witnessed through the repeated articles being published by them. It reminds me of the great “war” 35 years ago in USA-Europe. At that time the “micro-alloys lobby” (MA lobby) lost to the QT lobby of the patented THERMEX and TEMPCORE technologies. Now, with help of engineers such as Morales, they are making a second attempt – this time it is being fought in Asia because the MA lobby realises that the big market in coming decades will be Asia. This war is clearly going to be hard and bitter because of BIG MONEY the MA lobby hopes to gain. Luckily, the Dept. of Trade and Industry (DTI) has in its report of 4th June 2018 “finds no factual or technical basis to support the allegation that quenched and tempered (QT) steel is unsafe for high-rise construction, following a series of consultations conducted with the Philippine Constructors Association (PCA), Philippine Iron and Steel Institute (PISI), Association of Structural Engineers of the Philippines (ASEP), and other relevant stakeholders” and thus cleared QT rebars as safe even for high rise construction. Since, ‘everything is fair in love and war’ a lot of half-truths are being slyly pushed in the articles printed in the print media. And within one day of the DTI clearance of QT rebars the MA lobby has again flooded the media with their selective quotes. Just a few examples of the past few months. Melvin Gascon’s article in Philippine Daily Inquirer of 1st June 2018 labelled these QT rebars as “weak” and “PH BUILDINGS ERECTED USING ‘WEAK’ STEEL, GROUP WARNS” was the screaming headline. Weak? QT rebars are anything but weak. Clearly hitting ‘below the belt’. John Le Fevre’s piece in AECNewsToday.com of 5th June had “QT STEEL COULD SEE MAILA HIGH-RISES COLLAPSE IN BIG QUAKE WARNS ENGINEER” as its frightening headline. Pray, how many high-rises have collapsed in the past 12 years of QT use in Philippines? The article shamelessly gives an example of the 7.3 magnitude 1968 earthquake that flattened a high rise in Manila. The author does not inform the readers that QT technology of THERMEX and TEMPCORE was commercially used only from mid-1980s, some 15 years AFTER the said quake. (Readers may be informed that Toristeg Steel Corporation of Luxembourg filed a patent on 11.03.1967 for cold twisted deformed bars, Torsteel. These CTD rebars were so bad that their usage in Europe was quickly stopped around 1973 or 74) Not being a native of Philippines I cannot say for sure, but the Manila building collapse may have been due to use of CTD rebars or due to faulty design or construction – but certainly had no relation to QT rebars. The reference to collapse of the high-rise building in the 1968 quake is clearly wicked and malicious in an article on QT rebars which came into existence only some 10-15 years later. The Manila Times brought out an article on 25 April 2018 by Anne Leah Gonzales headlined “STEEL STANDARDS CAMPAIGN STARTING TO BEAR FRUIT” suggesting that the MA lobby was winning. Sadly, DTI and PISI have given a clean chit to QT rebars. Many newspapers and articles based on Emilio Morales papers suggest that countries with high seismic hazard areas insist on rebars with 1.25 stress ratio. They also ‘hint’ that Japan and New Zealand do not permit use of QT rebars. Your readers need to be informed that in New Zealand the rebar Standard NZS 6971 specifies a minimum stress ratio of 1.15. Readers may also be surprised to learn that New Zealand experiences about 80,000 quakes each year. And, more importantly, QT steel is not banned in New Zealand. Lastly, for information of the MA lobby, I may announce that THERMEX recently created history. It has successfully produced, with performance guarantees, QT rebars with stress ratio of 1.25 – 1.30 without the use of any vanadium or other micro-alloys. That should give the MA lobby some food for thought.